You’re relaxing at home after a long day at school. Kicked back on the couch with some snacks, watching your favorite Netflix show, when suddenly you recall something your teacher mentioned at the end of class today… That research paper is due tomorrow. Your teacher has been talking about it for WEEKS so you knew it was coming… but you haven’t prepared at all and now you’ve got a 5-page paper due in the morning, and one of your sources HAS to be from a library! 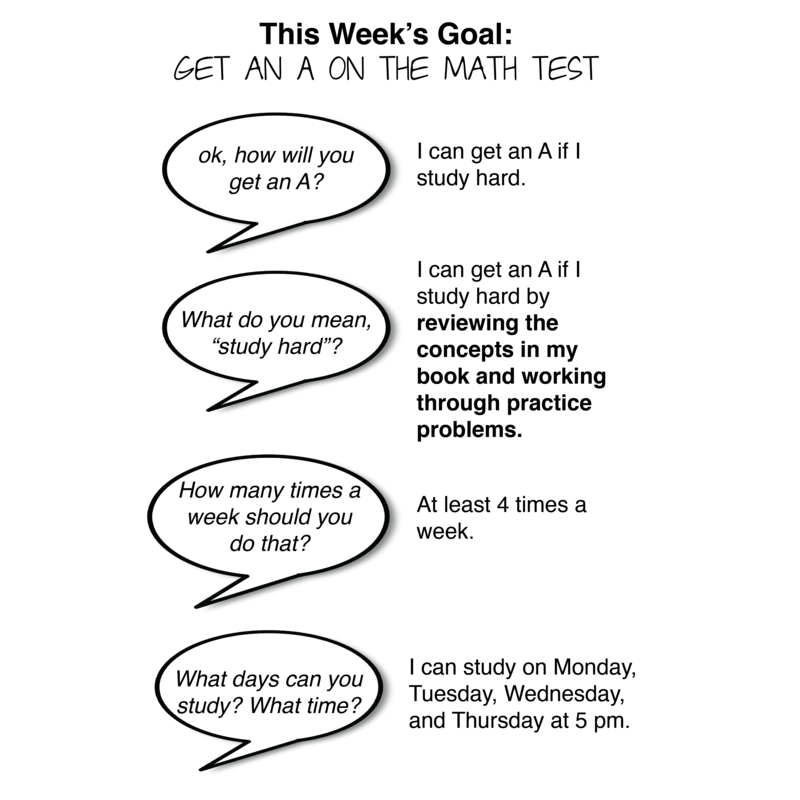 Our brains aren’t built to remember everything at once. In fact, the more you try to remember in your head, the more cluttered and difficult to remember ANYTHING it becomes. You can avoid this by having a planner, and using it in the most effective way. That being said, here are 7 tips for having the most successful planner. There are thousands of planners out there, but you want the one that works for you. To make things a little easier, we created the Student Tutor Planner; A planner designed to help you track your own progress on assignments and break larger, stressful projects into less-intimidating baby steps. 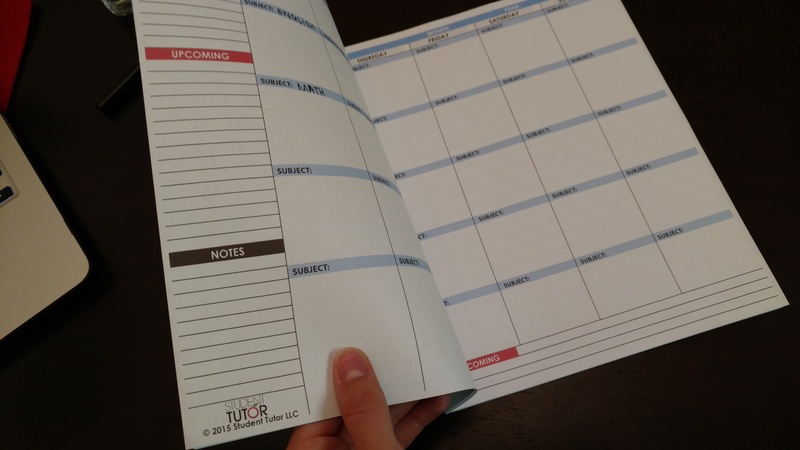 You can always purchase a separate planner if you like, but the Student Tutor Planner is completely free for your use at any time. If you buy your own planner, they will usually come with the months and years already printed on them. The reason OUR planner does not is so that you can continue to reuse it for however many months and years you like! Most teachers in high school will give students a syllabus that may or may not list the due dates of some major projects. For example, an AP English course might require a “Final Paper” that is due on X day. Whenever you know a date ahead of time, it is a good idea to put it in your planner. This is a habit that you can build to be successful in the rest of your life. 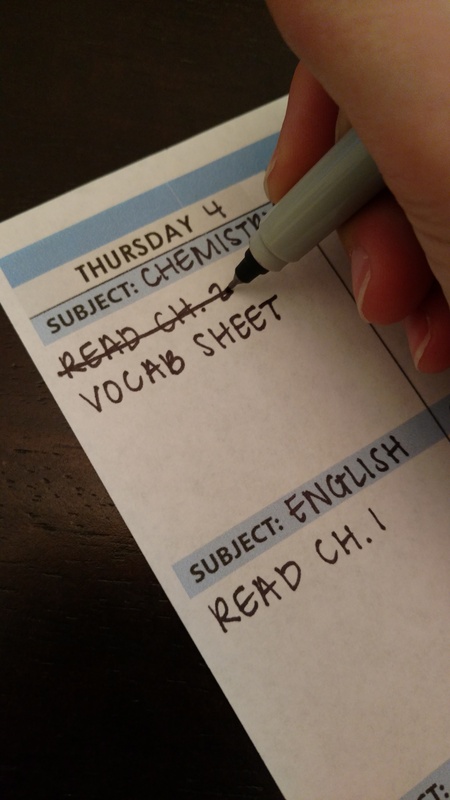 You know the drill — when a teacher has homework to assign, they’ll usually announce it during class. The MOMENT you hear of an assignment, you should mark it down in your planner for when it is due. Pro-Tip: When you DON’T have homework for a class, write down “None”. By making sure that each class has something under it’s name, you can be sure that you’ve kept track of everything. 4. Set weekly goals and daily steps to reach them. What are the baby-steps I can take to reach my goal? When you have your weekly goal, break it down even FURTHER. This will help you decide what daily steps you can take to reach it! Fill these steps in to your planner so you remember to do them each day. If you have an Anatomy test on Monday of next week, seeing that first thing Monday morning when you check your planner may not help your case! 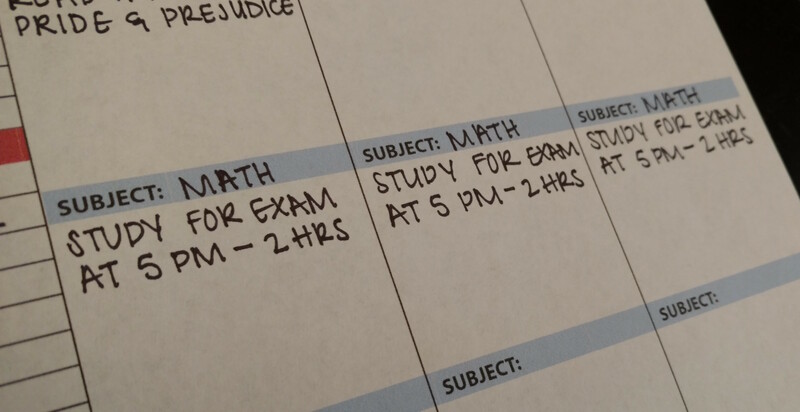 Don’t let tests or homework sneak up on you — note down when you have upcoming tests, quizzes, and assignments. This is especially helpful if your teacher hints that there may be a pop quiz! Remember how in step 4, I talked about being specific with the daily steps you take to reach your weekly goals? What are the baby steps I can take to help me complete it on time? How long should I spend on each step? When will I take these steps? Create goals for yourself that are SMART. There is also a great time-tracking app for this called Toggl. It’s one of many different apps out there that you can use to see exactly how much time you’ve spent on something! 7. Keep it positive & Make it fun! It’s important to recognize your own achievements, however small. Celebrating the completion of smaller steps towards a larger goal will help you feel better about the time you have spent, and will motivate you to continue. That’s why our planner includes a section for “Achievements”. It’s where you can highlight what things you are most proud of for the week. Staying organized doesn’t mean that everything has to fit into a boring little box. Find ways to add style and color to your planner and really make it pop. Being organized and using a planner is like eating vegetables. It may be difficult or unappealing at first, but the more you do it the more you will start to experience the benefits. Perhaps the number one benefit of being an organized and well-planned person is that it minimizes stress. When you are trying to remember 10 things at once, mistakes will happen. Keep it positive & Make it Fun! What do you think of our planner? Let us know in the comments below! Hi, my name is Vickey and I am teaching my daughter how to utilized a planner. I enjoyed this article and the Huffpost article and sent them to her email. She will be a 6th grader this year and I know she would enjoy having this planner in particular. Are there any left over…2 years later lol. This is a great planner for students. Great tips on use as well. Greatly appreciate it. Do you sell the planner as well. The planner is actually free for you! Were you able to access it through the links in the article? This is great, thanks for sharing the planner tips!